Experience developing test scripts and test cases. Knowledge of the following is must: SQL and minimum of accounting. Create a test plan & strategy. Develop and set up the testing environment & related tools. Able to perform both manual & automation testing with complete coverage on all test environments. Experience with test planning, test case design and integration testing. Working knowledge on Alcatel-Lucent based Craft Terminals like WebCT and NFM-P (SAM) tools would be desirable. Knowledge on Networking Concepts (Routing/Switching) and on Layer 2, 3, 4 Protocol testing. Should have DB knowledge and Agile experience. Provide expertise in the planning, constructing and execution of test scripts. Apply business and functional knowledge including testing standards, guidelines, and testing methodology to meet the team’s overall test objectives. Ensure all testing results are easily accessible and understandable. Having minimum 3 years experience in Testing. Basic knowledge in SQL queries. Basic knowledge in Pharma domain is added advantage. Minimum 2 to 3 years of UFT working experience. Should have expert knowledge in Automation test script creation, execution and debugging using UFT. Should have exposure to automation frameworks such as Data Driven, Keyword driven and hybrid. Must have knowledge of descriptive programming. We are hiring for Senior Java Developer for one of our Product based client in Hyderabad. The candidate should have a strong understanding of industry trends and MVC architecture. Also, an understanding of the entire web development process, including design, development, and deployment is preferred. Strong understanding of PHP back-end development with any of the MVC framework knowledge (Cake PHP is more preferable). Strong knowledge MySQL database queries. This is Britain from CBSI India Pvt. Ltd, Bangalore and we have an urgent opening for Esteemed client. Minimum 5+ Yrs of experience into Automation Testing. Secondary skills: C#, Coded UI- experience in Manual Testing, Exposure to Microsoft TFS, Microsoft SQL Server. We have an immediate opening for C#, .Net, Selenium. Strong C# experience (Min 1.5-3 yrs ). QA Automation tools experience – Selenium /C#. Willing to work in 1 AM to 9 AM/10PM to 6 AM. We have a job opportunity for manual testing position. 2-4 years of experience in manual testing. Experience into General Insurance domain. Automation testing and Regression activity. Open bugs and validating when fixed. Self-responsible and can work independently as well with the team. We are looking for Analyst – Java for our Established Global Shared Services Office at Hyderabad. This position is responsible for handling the requirements end-to-end and provide feasible solutions by applying the necessary design patterns. Designing and coding in Java, JSP, Servlets, Spring, Hibernate technologies with SQL/Oracle as back end. A strong technical background in eCommerce with Java Background. Writing detailed, Test plans, Test scripts, and Test cases. Test Mobile, Web and native applications across multiple mobile devices. Performing Software Testing, Smoke Testing, Regression Testing. (Mobile & Web Applications). Expertise in manual and automation testing. Hands-on experience of minimum 1-2 years in QA Role ( Mobile & Web Applications). Should have Strong testing aptitude with a clear understanding of testing concepts (testing life cycle/test plan/test strategy/defect life cycle). 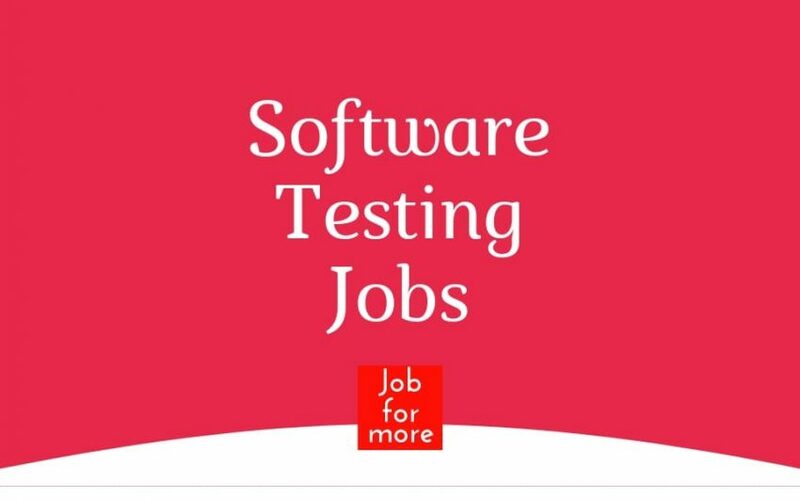 The Test Engineer is primarily responsible for validating the data sources, extraction of data, applying transformation logic, and loading the data in the target tables. 4 years of software testing experience. 3 years of experience in Data warehouse / ETL testing. Proficiency in writing complex SQL queries in Oracle. Enthusiastic about learning new techniques. Test Automation experience knowledge in Selenium (Optional). Additional weightage if experience in Bigdata Technology. Hexaware Technologies is looking for Automation testing – Selenium Java professionals with 4-8 years of experience. 5+ years of experience with the open source technology, specifically Selenium with WebDriver for and Cucumber test automation. framework and be responsible development of the Framework and Automation test cases. Prior functional testing experience in the Front end, back end to come up with effective test cases when necessary and provide help with functional testing activities. Navallur Post, Siruseri – 603103, Kanchipuram Dt, Chennai, India. 5+ years or more experience in Java, J2EE, UI Scripting, Oracle Back-end PL/SQL Development. The person with experience with any of Knockout JS, React JS, OJET, Python, Ajax, Webservices, Bootstrap, Angular JS, JQuery, CSS, ADF, Oracle Identity Management(OIM) is very desirable. The person with DevOps experience is a big plus. Secondary skills in Unix Shell & Perl Scripting.